Comic strips and cartoons are two effective instructional tools to use in class with students from different grades. They are effective because they engage students in meaningful learning experiences where they get to practice key skills such as writing, reading, speaking and communicating. By definition, a comic strip is "an open-ended dramatic narrative about a recurring set of characters told in a series of drawings, often including dialogue in balloons and a narrative text, published serially in newspapers" (Inge, p. 631 cited in Snyder, 1997). 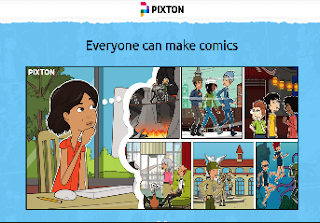 In today's post, we are sharing with you a some very good resources to help you make the best of comic strips in your teaching. Comics are fun, interesting and motivating. Comics promote a wide variety of skills: cognitive, intellectual, social, and cultural. Can be used with students in different school grades. Can be used to teach different school subjects. Can help students develop higher-order thinking skills (sequencing, predicting, inferring, synthesizing, analyzing, evaluating...etc). Enhance students engagement with multimodal texts. Make students aware of the multimodal means through which meanings are constructed and communicated. Visually illustrated content is much easier to process, understand and remember. Can be used to teach reading, writing, listening, and speaking skills. 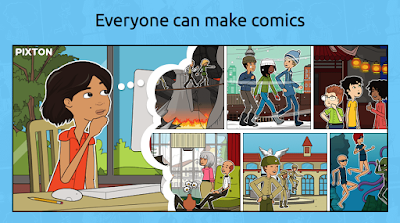 There are different ways you can integrate comic strips in your classroom. Here is an abbreviated list of ideas we put together based on various sources (see list at the bottom of this post). Digital storytelling: students (in small groups or individually) create a narrative storyline and illustrate it with relevant graphics. Students use comic strips to visually retell a story they have read. Use comic strips to raise students awareness to topics such as racism, bullying, digital citizenship…etc. Use comic strips in language learning to teach vocabulary, grammar, communication (use of language in contextual situations), writing, and reading. 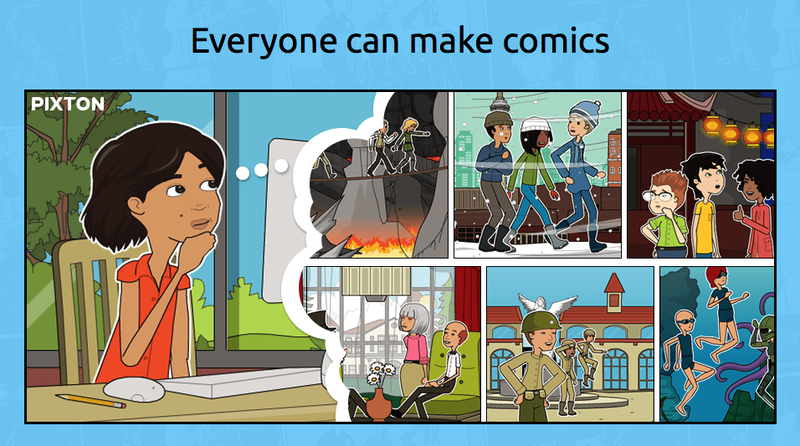 Use comics to improve students speaking skills by asking them to act out comics they created. Alternatively you can engage students in oral discussions about the content of the comics. The following are some of our favourite tools you can use with your students to create beautiful comic strips and cartoons. We have only included tools that are student-friendly and that are easy and simple to use. These tools provide a wide variety of pre-designed materials such as characters, backgrounds, images, objects, text balloons, dynamic panels…etc. Students select the materials to illustrate their comics, write their content in the provided dialogue boxes and then share their finished product with others. 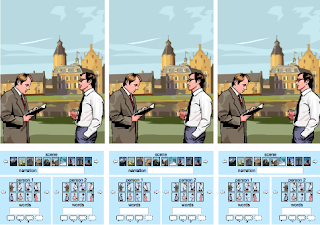 An excellent and easy to use tool for creating beautiful comic strips. It provides you with a diverse cast of characters, speech bubbles, props, backgrounds, objects and many more. Your finished product can be printed, saved to disk or shared with others through email. 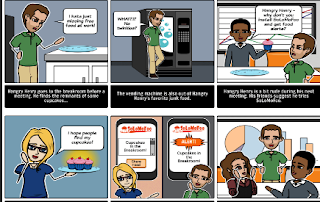 Another great tool students can use to design their own comic strips. It offers backgrounds, characters, and props required for visual illustrations. It also comes with a planning sheet that has detailed instructions and tips on how to use the tool. 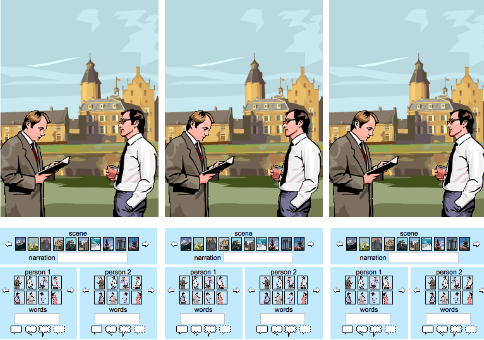 Provides you with a set of pre-designed characters, scenes and dialogue boxes to write your story. You need to log in to save your work. 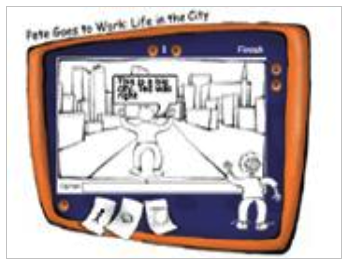 Allows students to create beautiful storyboards. It provides more features than the tools mentioned above. Students can choose from scenes, characters, shapes, textables, and even upload their own images to use in their storyboards. Snyder, E. (1997). Teaching the sociology of sport: Using a comic strip in the classroom. Teaching Sociology, 25(3), 239-243.